1. Using a julienne peeler to slice the zucchini into noodles, when you reach the seeds stop. 2. Cut tomatoes into dice size. 3. 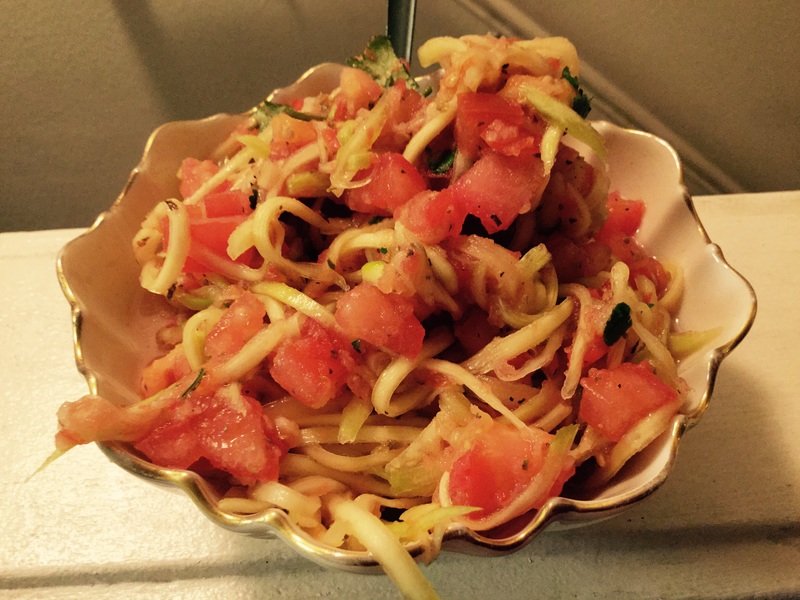 Combine zucchini and diced tomatoes into a bowl and seasoning to your liking. 4. In a blender add 2 tomatoes and bell pepper. Blend until liquified.